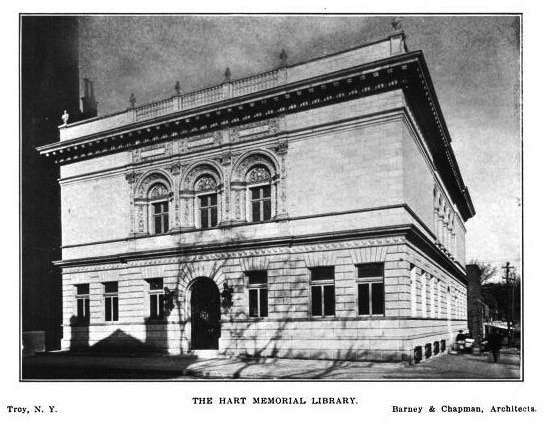 The Hart Memorial Library designed by Barney & Chapman c. 1897 in Troy, New York. 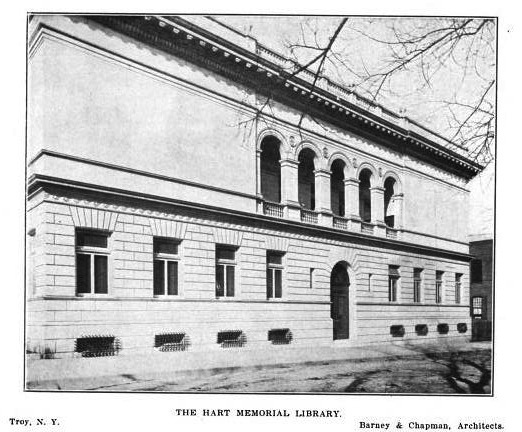 The building serves as the main branch of the Troy Public Library system. The library building was funded by a donation from Mary E. Hart in honor of her late husband William H. Hart. 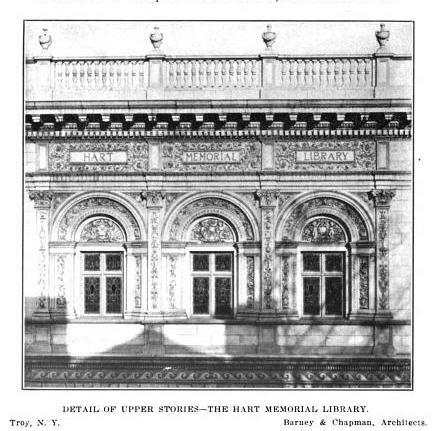 In 1903 the Trustees changed the name to the Troy Public Library. 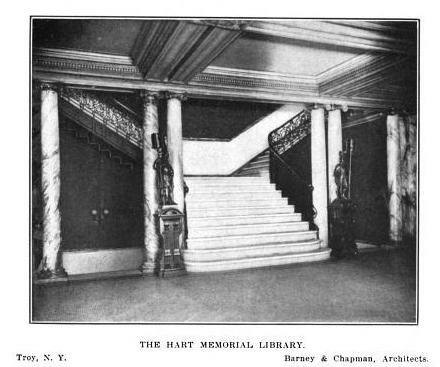 Click HERE and HERE for more on the library. Click HERE to see the library on google street view. The Boston Public Library really was the shot heard across America---suddenly every city had to have one like it.